This is the one problem I have with marriage vows is that they are written as a contract by which one sells oneself into slavery to another. This form on contract is then enforced by nearly all religious orders, in the name of GOD. This is why, women, who find themselves in abusive relationships, have often felt obligated by their religions and societies to remain in that situation because that is what a GOOD woman is supposed to do. There is no moral way out for these women. Don't get me wrong! I'm not against marriage. I AM against abusive marriages enforced by society and when one spouse announces to the whole world that he or she OWNS his or her partner ('You Belong To Me'), THEN I get a little worried that something is very wrong with society. You see what can happen when one reads deeply into the lyrics of a song? It's a lovely piece and I am sure that it was meant with all good intentions, but the message hidden within makes me somewhat uncomfortable, especially to sing at an anniversary. I recorded it, and attached it to an email to my friend. I told him that I could do it but I was not sure if it was a wise choice because of the reasons listed above. He opted not to ask me to do it. I stumbled across the recording today, and decided to include it in my selection to show that lyrics can hurt a song in unexpected ways. The artist that I heard perform it was Jason Wade. I think that he did the best version of this song, personally. 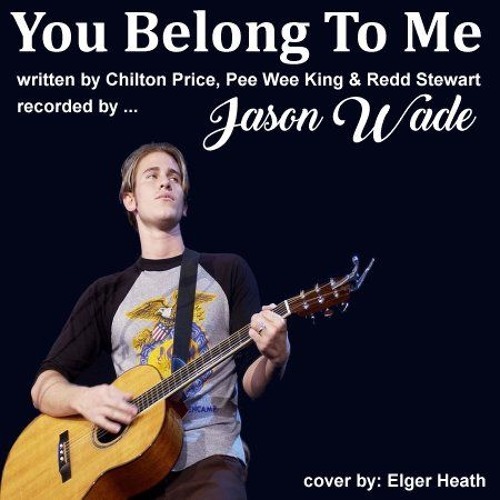 Here is my cover version of 'You Belong To Me'.